Denver Tax Lawyer | Robinson & Henry, PC. Taxes don’t have to be such a headache-inducing activity. To combat the usual feelings of existential dread amidst a tax crisis, the well-prepared and informed taxpayer knows what their local resources are. Whether your tax problem is related to filing, unpaid tax debts, or the surprise letter from the IRS, Colorado taxpayers can utilize local resources, whether they be state, federal or private for help. Read on to discover what these resources are and how they can help relieve you of that impending tax-headache. Our tax attorneys are here to help when you are ready. Contact us for a free consultation at (303)688-0944 or schedule an appointment online. How can I set up online payments for my federal tax debt? How can I file my state taxes online? How can I file my federal taxes online? How can I fix a mistake on my federal tax return? How can I find a tax attorney that’s right for my tax problem? Who are some Colorado Tax attorneys in my area? I’m a small Colorado business, how can I educate myself on Colorado sales tax? How do I prep for a Colorado tax court hearing? Who will preside over my tax hearing? Can I represent myself in my tax case? For Colorado taxpayers, it is important to know the various IRS offices and tax courts in Denver. Places such as the Denver IRS Tax Office and the Colorado Department of Taxation offer a variety of helpful information for taxpayers on federal and state tax rules and regulations, respectively. These offices and their websites provide virtual information and answer questions on sales tax and income tax, as well as allow Coloradans to make an appointment with a local IRS agent if you’d prefer to talk with a live person. For Colorado taxpayers looking to dispute a federal tax law matter – who perhaps have received an unexpected Notice of Delinquency from the IRS, will probably be visiting the Byron G. Rogers U.S. Courthouse. 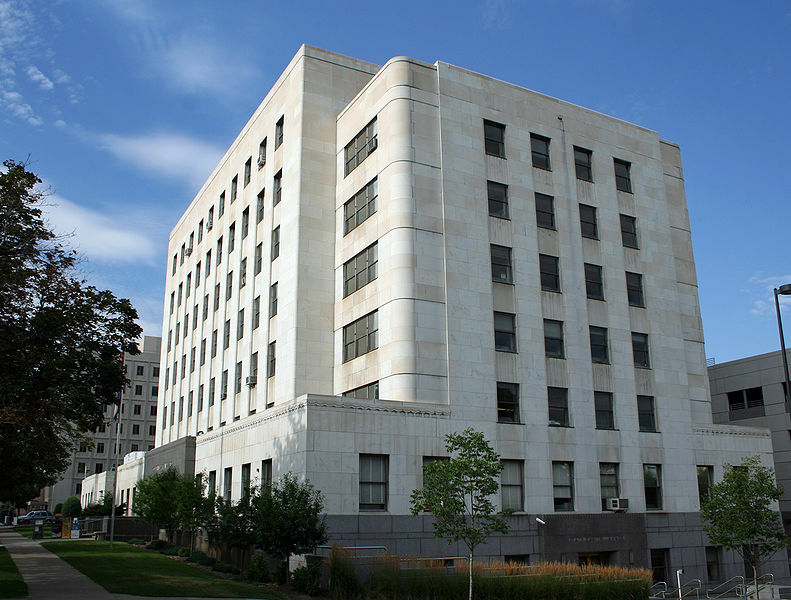 Jump to the next section to learn more about this courthouse and educate yourself on how best to prep for your Colorado tax court case. The Denver and Colorado Springs IRS office is a local branch of the federal Internal Review Service. They offer face-to-face assistance on federal tax matters. Come here to set-up a payment plan if you have tax debt, get tax transcripts, check on your refund, file your federal tax return and discuss any tax related questions. You must book an appointment, as they do not accept walk-ins. Multilingual assistance is also available at this location. Additionally, the IRS website is chalk-full of useful information, forms and services. From the site, you can file your federal taxes online (if your income doesn’t exceed $64,000), fix a mistake on your tax return, check on the status of a refund, get tax transcripts, use their tax withholding calculator or interactive tax assistant to answer any tax related questions. Revenue Agents are accountants who are well versed in tax law. They audit financial records of both individuals and companies, to make sure tax obligations have been met. Revenue Officers are different from revenue agents. After an agent finds an individual or company that owes back taxes, they will turn over the account to the revenue officer. Employed by the IRS field office, an officer’s job is to collect unpaid taxes. IRS Tax attorneys are hired by the IRS to assist the IRS in determining and collecting the correct amount of taxes for corporations, nonprofits, small businesses and individuals. IRS attorneys work in field offices representing the IRS in litigation cases, or work in the National Office, located in Washington D.C., drafting regulations, rulings and provide legal guidance to taxpayers. The Division of Taxation at the Colorado Department of Revenue handles the collection and enforcement of state taxes in Colorado. Additionally, it serves to educate and be a resource for tax inquiries for Colorado residents. From their website, a taxpayer can find information related to taxes, tax forms and through their tax account they can file their state taxes, track their refund and pay off tax debt. The comprehensive site also has a section dedicated toward education, where taxpayers and local business can watch videos, sign up for a free Colorado sales tax class, research tax policies and receive email updates on tax news. Tax Examiners help Colorado taxpayers by refunding incorrectly collected taxes and setting up online accounts. Additionally, examiners audit taxpayers tax returns for compliance and accuracy. Tax Policy Analysts research and analyze Colorado tax laws. They offer legal support on tax policy issues that come from legislative or taxpayer inquiries. Additionally, they make sure that tax regulations are clear and transparent, to lessen the burden on Colorado businesses. Location: Courtroom C502 , Byron G. Rogers U.S. Courthouse, 1929 Stout Street, Denver, CO 80294. Senior Judge – Mary Ann Cohen. Received her bachelor’s degree from the University of California and attended University of Southern California School of Law in 1967. Judge Cohen has a background in working as an attorney, where she received two awards for her work on civil and criminal tax cases. First appointed as a judge by President Reagan in 1982 and later served as Chief Judge in 1997. Special Trial Judge – Diana L. Leyden. Judge Leyden earned her Juris Doctor from University of Connecticut School of Law in 1982 and later pursued her LLM in taxation at the Georgetown University Law Center. She is the first tax court judge who also served for 16 yrs as a director of a tax clinic for low-income taxpayers. She was recently appointed to her current position in March 2016. Tax court judges come from very diverse backgrounds – some come from the private sector, where they have successfully worked as a tax attorney, others come from more of a governmental background where they clerked for another judge or worked for the IRS, many even have a mix of both private and public sector experience. Its important to know the background of your judge – they alone make a decision on your case. According to Senior Judge Mary Cohen, only 10% of tax cases are benched decisions (meaning cases where the law is clear) – otherwise, they issue an opinion report based on submission of briefs from each party. An upside to hiring a local Colorado attorney is that they often know the personality and temperament of each judge and know how best to frame arguments around those factors. Must begin by filing a petition. Along with your petition, you must submit a $60 filing fee, a copy of your IRS Notice of Deficiency or Notice of Determination, taxpayer ID number (form 4), and request of place of trial (form 5). Get your petition papers here. Small tax case procedure, or regular? For those owing less than $50,000, have the option to conduct their case under the court’s “small tax case” procedure. These types of cases are usually less formal and result in a much speedier determination. However, since these cases are not appealable by either party, so a taxpayer should weigh the options before selecting this route. If you decide to pursue a small tax case, then you would indicate on your petition paper. Receiving IRS’ Answer. After choosing what type of case to file for, the IRS attorney will submit their “Answer” to the court and send the taxpayer a copy. The Answer document will outline the disagreements between the IRS and the taxpayer. The taxpayer will use this information to build evidentiary support for their case. Additionally, this document will contain the IRS attorney assigned to the case and how the taxpayer can get a hold of them. Settlement. Before the trial, the IRS attorney and the taxpayer (and their legal representation) will meet to negotiate a possible settlement or agreement. 90% of tax disputes are settled outside of court, as it saves both parties time and money. If an agreement can be reached, then both parties will sign and send a copy to the court. However, if the taxpayer does not agree to the terms, then they must wait for the trial to argue their case. Waiting for tax court notice. Cases are scheduled on a first come, first served basis. Once they are scheduled, the taxpayer will receive notice of the date, time and location of the trial. Only one judge presides, so no jury is present. A taxpayer may either represent themselves or they can hire legal representation. Along with the notice, the court will send a Standing Pretrial Order which will has specific instructions for the taxpayer in getting ready for the trial. Pretrial Memorandum. Before the trial, the taxpayer should submit a pretrial memorandum to both the court and the opposing party, which must be received 7 days before the trial date. The memo helps to organize your case and present it to the judge for their preparation. It should summarize the factual arguments of the case, state if any witnesses will give testimony and what they will say. Court day. If a taxpayer is representing themselves then they will need to make sure all documents and any witnesses are brought to the courthouse. Bring three copies of each document to court, one for the taxpayer, for the IRS and the judge. Facts and arguments should be well research and organized, so that they may be presented in a way to best defend the case. It is recommended to dress appropriately, be polite and come early to wait for the case to be called. The image shown above comes from the Taxpayer Advocate Service, an independent office within the IRS. This study from 2013 shows the most litigated issues for U.S. taxpayers, whether or not they were represented, and the success rate of the cases within the period of study. Taxpayers who decided to represent themselves in court, forgoing legal representation (also referred to as Pro Se) were less likely to win their case in all instances. The table shows that on average a Pro Se taxpayer had a 90% chance of failure in court. In contrast, those with legal representation from a specialist tax attorney were on average two-and-a-half times as likely to win their cases, and on certain issues (such as Passive Activity) legal representation improved the chances of success by up to six times that of Pro Se. It is possible to win a tax court case on your own, but the statistics are not in your favor. Just like doctors would tell you that browsing WebMD doesn’t make someone capable of diagnosing symptoms on their own – the same logic applies to law. Law is much more than adhering to rules and doling out punishment. It is organic, constantly changing and rewriting itself as new case decisions change existing law and become the precedent. If you’re someone who would rather not take the gamble, then read on to the next section on how you can find the proper attorney for your case and your budget. Hiring an attorney can seem like an intimidating process. Prospective clients may feel crushed under the impending tide of questions, like – how much money can I afford to pay; what kind of personality do I want in my lawyer; what experience and educational background is needed for my case? While it is natural to be overwhelmed by the task at hand, hiring a tax attorney is a worthy investment. The right attorney will know the personality and unique procedures of each local court; act on your behalf and work with the IRS so you don’t have to; know the current case laws to get the best outcome for your case; end up saving you money by getting a better deal with the IRS. When beginning your search for a lawyer, it is relatively easy to start from the comfort of your own home. Internet sites like www.coloradosupremecourt.us allow potential clients to vet attorneys. Here you can make sure they are properly licensed to practice law and see if any disciplinary records are present, for say, failing to meet any professional obligations. Sites like http://www.superlawyers.com/ and https://www.avvo.com/ are useful to see client reviews and find local lawyers who are nominated by their professional peers. While peer reviews can give insight into how an attorney’s acolytes view them professionally, these are opinion-based reviews and are sometimes done to curry favor between lawyers. That does not mean you should write-off peer reviews, but a good researcher should weigh these reviews against more objective forms information – such as the information located in an attorney’s bios. Look for the presence of professional awards, publications, speaking engagements, bar admissions, community outreach and client reviews, can provide pertinent information on a lawyer’s credibility and their thought leadership within their field. Compatibility. It’s important to be able to feel comfortable with your attorney. Having a good rapport allows for open and honest communication, which is of paramount importance. Especially when it comes to money and taxes, everyone has skeletons in their closets, and an attorney cannot effectively do their job if they do not know all the information. Transparent payment structure. An attorney that is transparent and candid about their fees, confirms that they have your best interest at heart. There are many fee options. Be wary of any hidden fees, or of an attorney that doesn’t offer a payment plan that works with your budget or is relevant to your case. Good people skills. A tax attorney will probably be interacting with the IRS on your behalf. A good lawyer will need to be personable and be able to effectively cultivate working relationships with various IRS personnel, even difficult IRS employees. An attorney that burns bridges and doesn’t communicate effectively can have a severely negative impact on your case. Relevant experience. Tax law is constantly changing due to new case laws reinterpreting legal statutes. Therefore, it is extremely important for a lawyer to stay relevant so they can provide sound advice and provide innovative legal strategy. An attorney who publishes pertinent articles, attends workshops and contributes to speaking events is evidence of thought leadership within their field. Who are Some Colorado Tax Attorneys? Michael received his bachelor’s degree from Brigham Young University and went on to graduate from the Seton Hall University School of Law in 2006. He understands the unique tax issues that businesses face, as he gained firsthand experience during his time as the Vice President of Operations for a startup on-line sales and consulting company in 2008. In 2009, Mike joined one of the nation’s largest tax debt resolution and business restructuring firms. He successfully negotiated hundreds of resolutions on behalf of his clients with the Internal Revenue Service and state taxing authorities. His clients included individuals, sole proprietors, partnerships, limited liability companies, and large corporations. You can schedule a free consultation with Michael here. Lucas received his bachelor’s degree from North Arizona University and continued to get his Juris Doctorate from Arizona State University. After passing the bar exam, Lucas’ interest in tax law led him to Denver, where he continued his education and received an LL.M (Masters in taxation) from the University of Denver. Lucas regularly speaks on taxes and other topics in and around the Denver area. Through his intricate knowledge of the IRS and other taxing authorities, Lucas is able to advise both business owners and individuals on how to best structure their tax dealings. Lucas has also helped clients resolve tax debt and reach negotiation agreements with the IRS by utilizing the tax code to keep money in his client’s pockets. You can schedule a free consultation with Lucas here. Bill Henry is the managing partner at Robinson & Henry, leading the firm’s business and tax practice at the Castle Rock office. Bill began his law career in Washington D.C. However, in 2008, Bill left the east coast and moved with his family to Colorado. There he joined with longtime Denver-area attorney Mike Robinson and together formed the firm Robinson & Henry. As someone who is on the leading edge of his profession, Bill’s firm hosts many speaking events on tax topics for both businesses and individuals – the latest event being “Taxes Under Trump”. Bill’s innovative perspective coupled with an exhaustive legal acumen and persuasive manner make him an excellent attorney. Whether a client’s problem is tax related, a business or corporate matter, he is well versed in all aspects of tax and business law. You can schedule a free consultation with Bill here.